Braided from graphited PTFE (gPTFE) plain yarn. 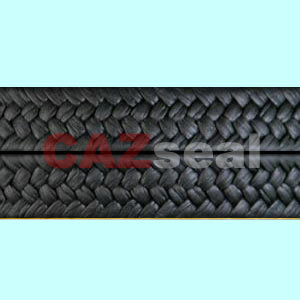 The packing is soft, with low density There are no free particles of graphite on surface and therefore no contamination can occur. 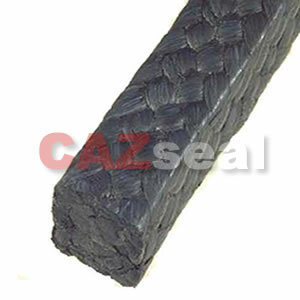 Packing made of 100% gPTFE yarns, and re-impregnated with a silicone lubricant with density about 1.6g/cm3. It is also economical gPTFE packing. 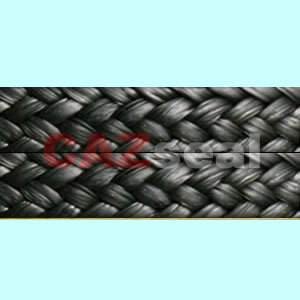 Y256 gLENMENS yarn is made by CAZ special technique, high strength PTFE filament LENMENS pretreated with graphite impregnation. The packing contains more graphite content compared with normal gPTFE, it has very low friction and good thermal conductivity of graphite, The characteristics is excellent, just has cross-sectional density, and some particles of graphite on surface. it almost suits for most of chemical media. It is new style.